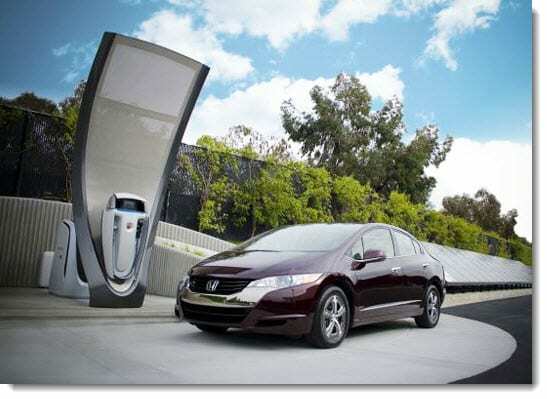 Honda, Toyota, and Nissan have announced their plans to expand Japan’s hydrogen fuel infrastructure. The automakers announced their intention to support the development of new fueling stations recently, but they have now unveiled specific details about their plan. The automakers have taken a strong interest in clean transportation, with all three having plans to commercialize fuel cell vehicles in the future. In order for fuel cell vehicles to find commercial success, they must have the support of a comprehensive hydrogen fuel infrastructure. Together, the automakers plan to share the costs associated with building new hydrogen fuel stations. They will also share the operating costs of these stations in an effort to make it easier for this infrastructure to take form. These efforts will be augmented by the Japanese government, which is also committing funds to the development of new hydrogen stations. Each automaker will share a third of the operational costs of new fuel stations, up to $90,000 per station. The organization responsible for operating these fuel stations will have to reapply for financial aid from automakers every fiscal year. The companies have not announced whether or not there will be a limit on how many stations they will be supporting through their financial initiative. The companies have noted that they will continue providing funding for the development of a hydrogen fuel infrastructure until clean vehicles have become well established in the Japanese market. Fuel cell vehicles have yet to see any significant commercial release. Toyota recently launched its own fuel cell vehicle, but the availability of this vehicle is very limited. Honda has plans to launch its new fuel cell vehicle at some point next year, and Nissan has, thus far, shown more interest in conventional lithium-ion batteries when it comes to clean transportation.